Certification in the activities field helps professionals establish a framework for practice so that they can provide the best possible experience for their residents. The first step to certification is to complete the National Certification Council for Activity Professionals' required training coursework known as the Modular Education Program for Activities Professionals (MEPAP). This course prepares students for the essential functions and duties of an Activity Professional: to design, deliver and evaluate activity services for older adults across the continuum of care. MEPAP 1 is offered every Spring Semester and upon request as a 1-1. This course prepares students to apply principles of management as an Activity Professional to provide service through leadership, advocacy, using principles of planning, organizing, staffing, directing and controlling. MEPAP 2 is offered every Fall Semester and upon request as a 1-1. Our professional office is located in the St. Paul's Office/Roebuck Education Building which is located right off Route 95 (exit 27). Parking is available on the street or in the municipal lot just past the stop sign on Park Place, Pawtucket, RI. We are happy to share that St. Elizabeth Home has graciously shared their beautiful location for some of our classes. At this location, we meet in the first floor conference room. For more information about St. Elizabeth Home, visit their website. Our online, virtual classroom allows for a fully engaging and interactive experience without having to leave the comfort of your home! Classes meet via webcam two nights per week and all handouts and assignments can be turned in and/or printed through the virtual classroom. Students will need a valid GMAIL account for the best access as our platform is Google Classroom and Google Hangouts. Prefer a one-on-one session? In this version of the training, we meet weekly for 4 hour sessions for a total of 45 weeks. During this time we cover all course content at a pace consistent with your particular learning style. Two spaces available per semester! Click the link to the left to submit your registration. You will be notified by the instructor within 1 or 2 days of available times. "I just want to take a minute to express how awesome Timothy is at TMWC Activity Professional Academy! He is an NCCAP Approved MEPAP instructor. I am very glad I decided to go the class setting route and take my classes with him. He is very passionate about the activity field and person-centered care. He has really changed my views on LTC and helped me thrive in my profession. I set a goal last July to become NCCAP Certified and last Monday I received my Certificate for ADCP. Today I took the national exam and passed it with a 92. Any activity professionals in or around the Rhode Island area who are looking to advance in their career should check out Tim. He also offers a variety of CEU's to help keep up with your certification requirements. Thank you again Tim for helping me be the best I can be!" Thank you Tim! You are an amazing person who truly cares for others, and the best teacher for this course. Thank you for your "every step of the way" attitude and advice!! 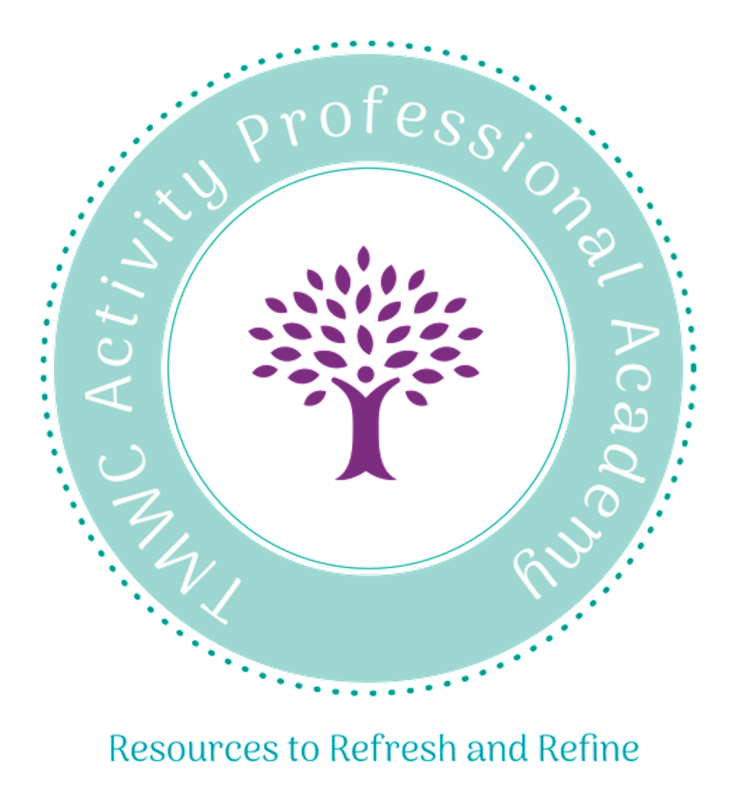 I highly recommend this course for anyone considering the activity profession as a career, or anyone already in this field as there is much to learn. Thanks again Tim!! I took both MEPAP classes with Tim Anderson and I couldn’t be happier. He is hands down the best teacher I have ever had. His classes are so unique and nothing like I experienced before. His teaching styles vary depending on the topic we’re discussing so it’s really fun to go to class every week, we never know what to expect! He mirrors what we learn in textbooks into real life scenarios which is beneficial to our career. You cannot learn what Tim teaches you through job trainings. Taking his class taught me so much about the beginning of the Activity Professional world to where it is today. His class covers a wide spectrum of knowledge that is beneficial to dealing with various population types, which is very helpful, since the Activity Professional world is always changing. There’s not one person I wouldn’t recommend to take his class. From taking this class I can easily say that it prepared me to take the national exam, and to be the Activity Professional I am today.